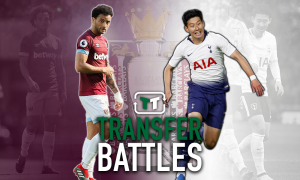 Sunderland handed boost in striker chase, West Ham identify replacement | The Transfer Tavern | Where football transfer rumours fly or die! West Ham fans in the Football Transfer Tavern have been dazzled by their clubs movements in the transfer movement so far and their recent interest sees David Gold et al interested in bringing Carlos Bacca to the Olympic Stadium next year. This interest comes as good news to Black Cats fans as their club seek the signature of Hammers hit man, Diafra Sakho, but will have to fend off competition from fellow Premier League outfit West Bromwich Albion, the Northern Echo reports today. Despite only managing seven goals in the league last year, the 26-year-old is valued at around £10million with Slavan Bilic ready to move along a host of players in a bid to build a new look side for the new season. 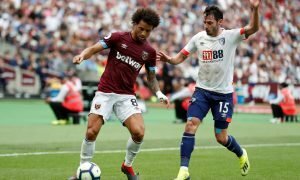 Sources in Italy claim AC Milan have rejected West Ham’s initial £15m offer for Bacca, but that has not prevented the Colombian’s agents from seeking face-to-face talks with the Hammers hierarchy.